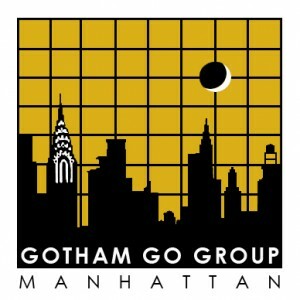 Live From Gotham: With 64 players — including six 7-dans –registered, this Saturday’s Gotham Go Tournament has maxed out, reports organizer Peter Armenia, “due to space and equipment limitations.” However, you can follow the top-board action live on KGS starting at 10a EST, as the E-Journal broadcasts games with commentary by pros and top players, including Gansheng Shi 1P, Justin Teng and Hugh Zhang. Players will be competing for cash prizes and books from Slate and Shell. Berlekamp Confirmed for ACGA Spring Go Expo: Dr. Elwyn Berlekamp, co-author of ‘Mathematical Go’, has been confirmed as a featured speaker at the upcoming ACGA Spring Go Expo, which has now officially begun registration. More speakers and the expo schedule will be confirmed in the next couple weeks, reports organizer Cole Pruitt. “Because another event (the Penny Arcade Expo) will be held in Boston at the same time, March 23-24, hotel space is already filling up quickly, so we’re recommending that anyone interested in attending sign up now,” Pruitt urges. Save $10 on Jujo Ing Cup Registration: Pre-register for the January 26 Jujo Ing Cup on-line for a $10 discount. The one-day, 4-round tournament is sponsored by Ing’s Goe Foundation of California and organized by the Bay Area Go Players Association. 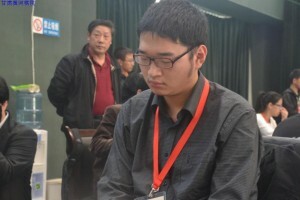 Forty players of all levels and ages from the Jiang Zhu Jiu Goe School in Shangahi are expected to attend, led by Yu Bin 9P, former Fujitsu Title holder and Jiang Zhu Jiu 9P, competing for $3000 in prizes. “This February, the American Go Honor Society (AGHS) is looking to renew its relations with Brunei, Malaysia, and Canada in a reinstallment of the Brunei Friendship Cup,” reports event organizer Andrew Huang 6d. 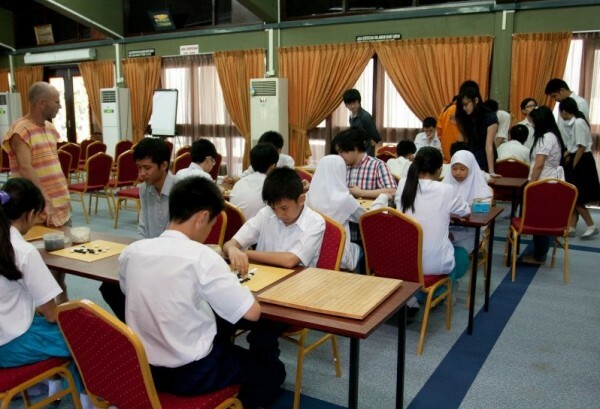 “This tournament, aimed at go players in high school and younger, gives all players, regardless of strength, an opportunity to represent the United States in an international and friendly competition.” A qualification tournament to pick the national team will be held on February 9-10, with the Brunei Friendship Cup set to take place on February 16. Players of all ranks and pair go participants are needed. For more information and registration, please visit the AGHS site, to register go here. - Paul Barchilon, E-J Youth Editor. Photo from xinwengolife.wordpress.com. There are just a few days left to register for the US Youth Go Championships, which will be held Jan. 19th on KGS. All AGA members who are under 18, and live in the US are eligible, and there will be prizes awarded every five ranks. The top winners in the under 12 and under 18 brackets will receive a free trip to the US Go Congress! Winners in all bands will receive a beautiful etched glass trophy, 2nd place in each bracket gets a Sai plushie. Everyone who enters will be eligible for AGF scholarships to either the AGA Go Camp or the US Go Congress, first come first served. The scholarships are worth $400 at camp, or $200 at congress. You may enter at a rank higher than your official AGA rank, but may not enter at a lower one. The registration deadline is Sunday, January 13th. To register, e-mail youth@usgo.org with your name, rank, birthday, AGA ID, KGS ID, and citizenship. - Paul Barchilon, E-J Youth Editor. The next in Tygem’s series of live world championship commentaries by Myungwan Kim 9P will be this Wednesday and Friday as Zhou Ruiyang 5P and Chen Yaoye 9P vie for the inaugural Bailing Cup, the go world’s newest international title. Game One of the best-of-five series will start at 5:30p Pacific Standard Time (8:30p EST) on Wednesday (9:30 a.m. in Shanghai, where the games will take place.) Game 2 will be two days later at the same time. Kim’s live commentary can be seen on Tygem’s World Server, which organizers promise “will not have any crowding problems.” Chen (right) is one of the strongest go players in the world and is currently number one in China. 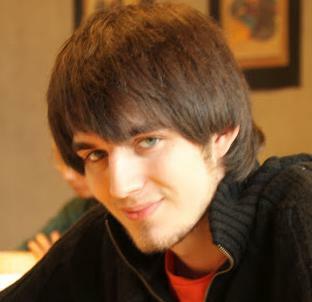 He plays very well in domestic tournaments but has not had success in world championship games, so this final will be a big chance for him to make his mark on the world stage. Chen showed his talent when he became pro at the age of ten and earned the rank of 9P at just 17. 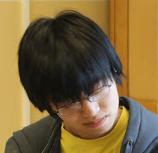 He is also in the finals of the Chunlan Cup, where he’ll play Lee Sedol for that title. Zhou (left), meanwhile, was number one in China for most of 2011 but like Chen has not yet won a world championship. Even though Chen has a slight edge over Zhou, this match will be an interesting for fans. They both are very strong and their styles are totally different. Chen’s game is conservative and defensive while Zhou’s style is aggressive and offensive, a match of sword against shield. In a surprise move, the Ing Chang-Ki Goe Foundation, sponsors of the World Youth Goe Championships (WYGC), have decided to hold their own qualification process, instead of accepting the US Youth Champion as their representative to the WYGC. “After a long and serious consideration,” writes Executive Secretary Yang Yu-Chia, “[we] would like to inform you that the selection process of World Youth Goe Championships in North America will be conducted by the Foundation and its liaison office in Menlo Park, California, with the hope that we can expand our influence of promotions for the youth there in the future.” No further reason was given. AGA President Andy Okun, in a formal response, stated that “The AGA’s practice is to support nearly all go activities in the US, regardless of who organizes them. For the most part, we welcome the Ing Foundation doing activities on its own. However, regarding international representation, this is one area where we do care who does what in the US. 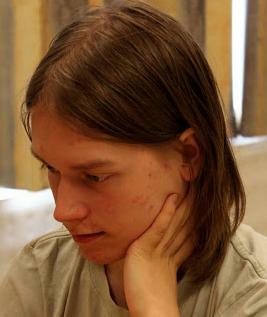 While the Ing Foundation is a private group, and may choose to invite whomever they like to their events, it should be made clear that if the Foundation selects an American player for the WYGC without AGA involvement and endorsement, that player cannot be called the US representative.” The AGA Board moved swiftly in approving a new set of prizes for the USYGC, which will still be held on Jan. 19th, and will select the AGA’s national champions. The winner of the top sections, in both age divisions, will receive an all-expenses paid trip to the US Go Congress. All other brackets will also still receive their national titles, as well as etched crystal trophies. Everyone who enters will also be eligible for AGF Scholarships to the AGA Go Camp, or the US Go Congress, first-come first-serve.. - Paul Barchilon, E.J. Youth Editor. With a week to go, nearly three dozen players have already registered for the January 12 Gotham Go Group Tournament in New York City. Zhaonian Chen 7D, Jimmy Guo 7D and Xiliang Liu 7D top the field, and the E-Journal will broadcast top-board games live on KGS for those who cannot attend. 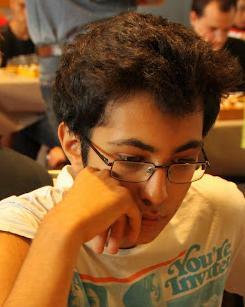 Registration is still open for the 4-round AGA-rated tournament, which features prizes for all sections “and surprises for everyone!” promises organizer Peter Armenia. 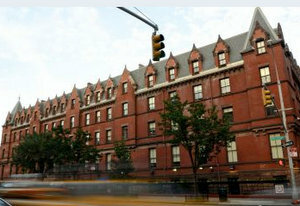 photo: playing site, the Hostelling International New York, at 891 Amsterdam Ave (btw 103rd & 104th).